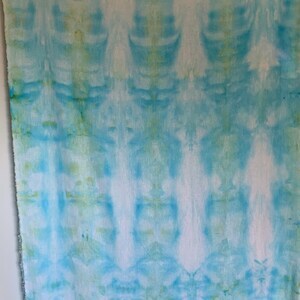 1 yard of ice style hand dyed 100% Kona cotton fabric in shades of blue and green with veins of yellow and patches of turquoise. 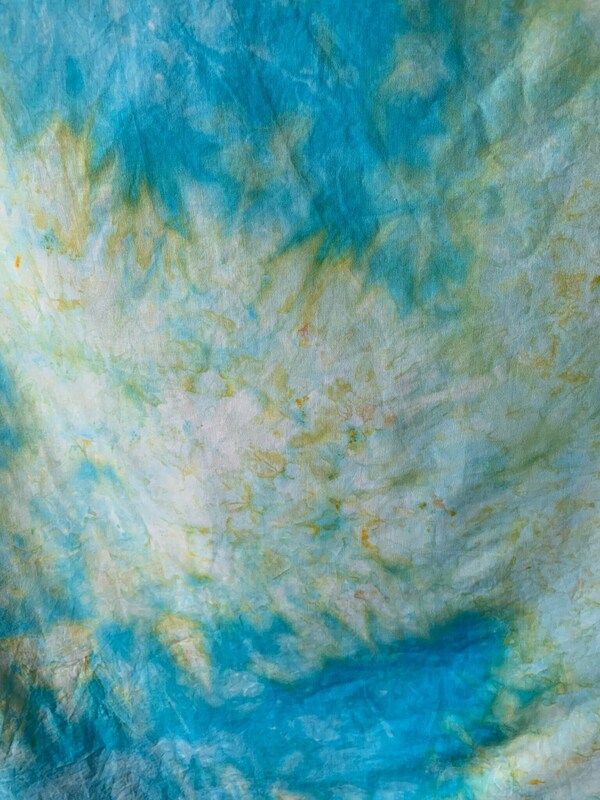 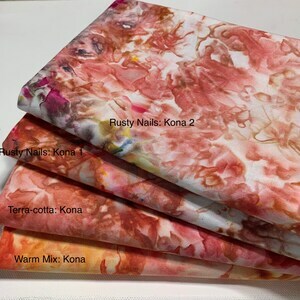 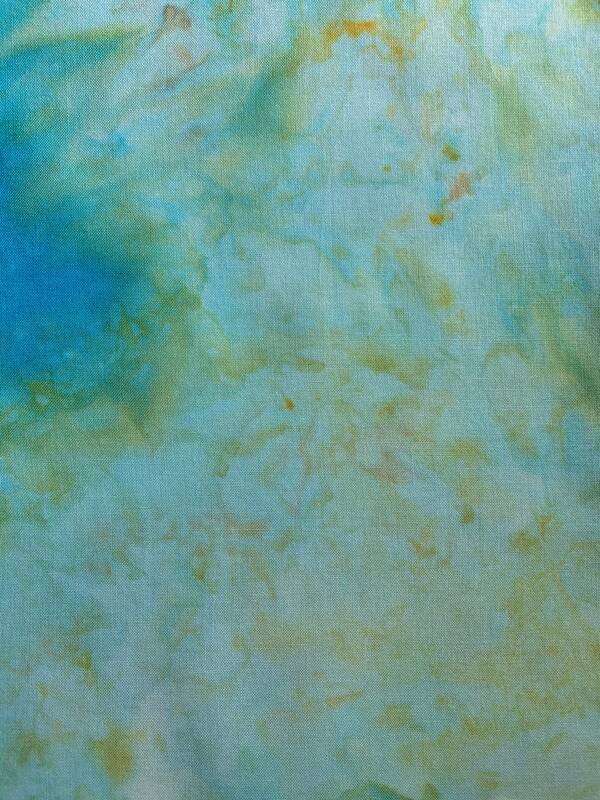 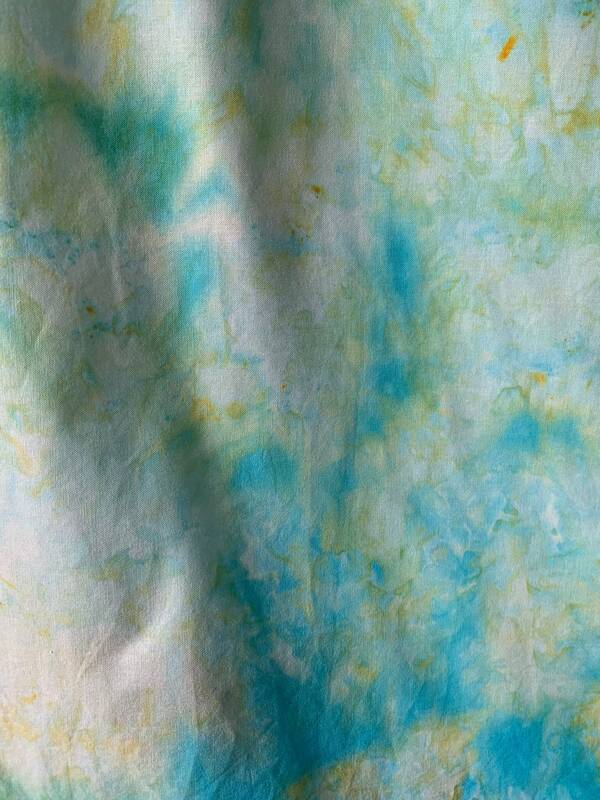 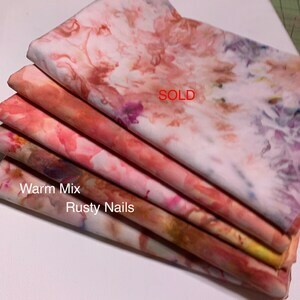 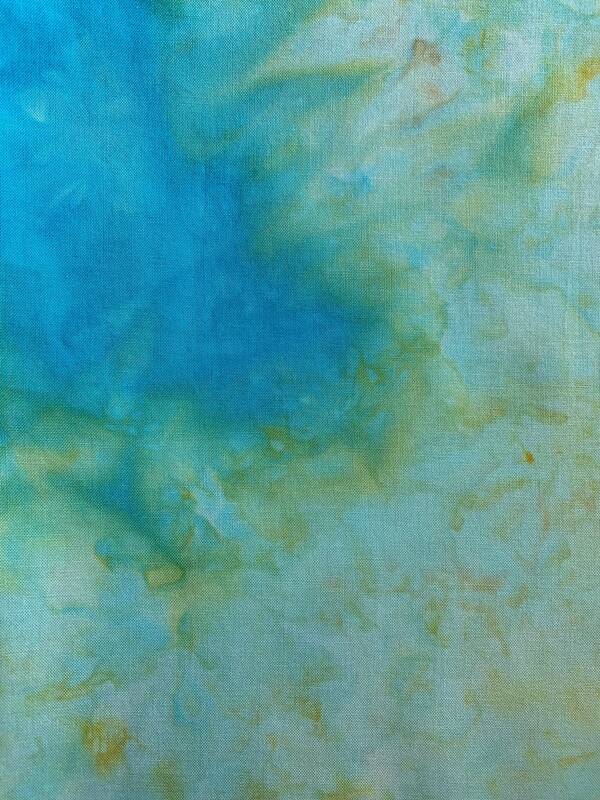 this fabric was dyed with Parakeet. 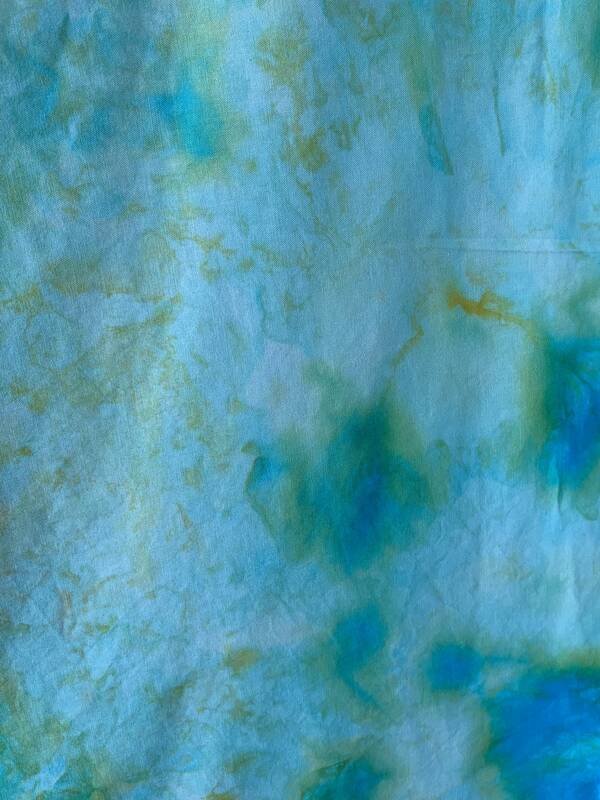 Patterns depend on how the ice melts and flows. 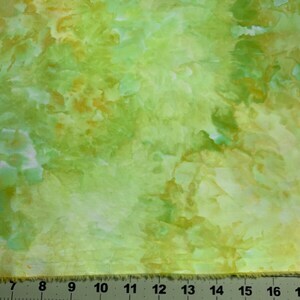 This fabric is great for light weight garments and works will in quilt sashing or low volume color.